Hi on the latest dolphin versions i'm getting crashes on windows 7 when i select vulkan backend or when i start a game using dx11. Are you sure everything is up to date (drivers, OS, etc.)? (07-31-2017, 07:57 AM)ExtremeDude2 Wrote: Are you sure everything is up to date (drivers, OS, etc.)? That's funny, I have the exact same problem. I updated my Nvidia driver to 384.94 just like you did and it's still crashing immediately after starting a game. It's not ideal because Xenoblade - the game I want to play without stuttering, stutters worse on OpenGL than on DX11. Yeah I think that's just a Xenoblade-specific problem. Other games run fine with OpenGL. 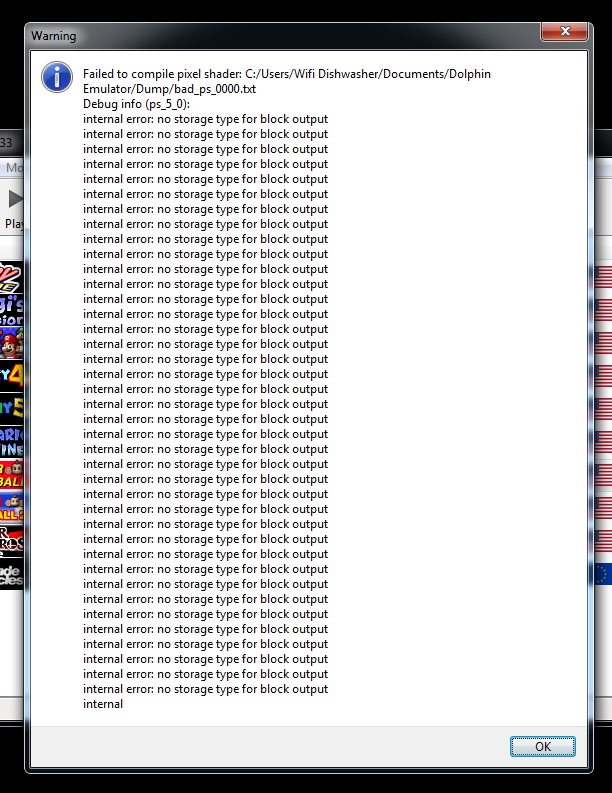 Forgot to mention that I don't have these problems on 5.0, other than the stuttering on Xenoblade. I just wanted to try out the new ubershaders to see if they fixed it. Im using opengl and it works fine.